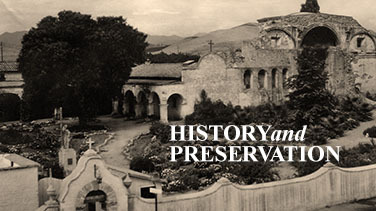 This new exhibit highlights rarely seen vintage photos from Mission San Juan Capistrano‘s museum and archival photo collection dating to the late 19th and early 20th century. Also featured is our new digital archival photo albums that showcases even more rare and never-before-seen historical images. 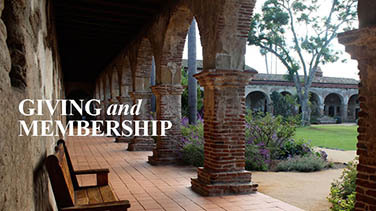 The kiosk also provides visitors a chance to view the former commemorative tile program that the Mission had on the grounds in the late 90’s to recent. The “Worth a Visit” sign was lost over the years, only to be rediscovered within the past eight years. 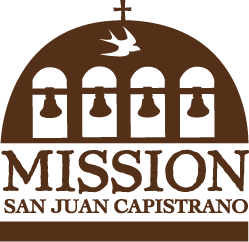 It was by viewing vintage photos that Mission leadership was motivated to seek the City of San Juan Capistrano’s approval to re-paint that historic signage onto the rehabilitated gate house as part of the Gate House Preservation Project in 2013.